Saxophonist George Sax roots from a long tradition of African Jazz saxophonists. Whilst studying Fine arts at WITS he associated himself with highly profiled jazz musicians at one of South Africa’s premier jazz venues like Bass Line in old Melville and Rumours in the infamous Rocky street. In the true spirit of jazz these old-school masters shared their knowledge of the saxophone and most importantly the art of Jazz! As Georges musical experience grew he was regularly invited to sit in on live sessions with these great saxophonists and jazz players. He is one of the few musicians who have been able to crossover into the forbidden realm of DJ's and house producers. 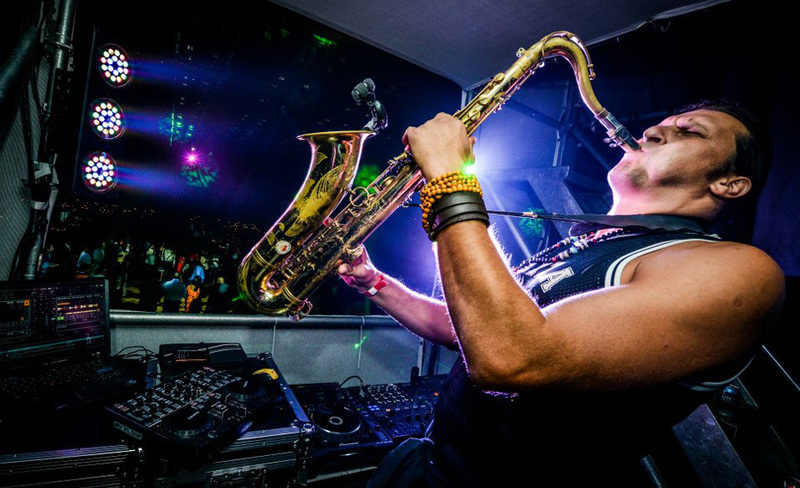 By composing a cocktail of decadent mixing on the dance floor with live afro jazz roots and tribal Djembe rhythms George Sax has mixed it up with house music’s finest locally and internationally. He has impressed countless dance floors with his unique sounds and presence. George has recently produced his second album titled ‘Saxuality’ featuring ‘Funk 4’ members (Band he founded) and guest producers.